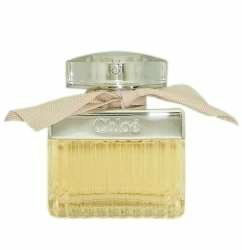 Chloe EDP 50ml: A fragrance Romantic, Classic, Timeless. A bud vase extremely feminine, sensual and distinctive. Top notes: Honeysuckle, Orange Blossom, Ylang, Muguet. Heart Note: Jasmin, Pink Narcissus, Carnation Tuberose. Base note: Sandalwood, Amber.